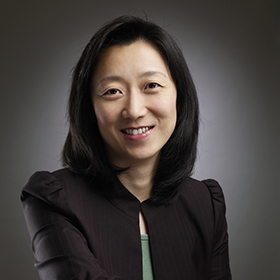 Rebecca Xu is a Co-Founder and Managing Director of Asia Alternatives. Ms. Xu leads Asia Alternatives’ Beijing office and is also a part of the Hong Kong office. She is on the Firm’s Investment Committee and co-leads Asia Alternatives’ investments in expansion and growth capital funds, focusing most of her time on Asia Alternatives’ China investments. Prior to starting Asia Alternatives, Ms. Xu was a Senior Investment Officer at the Funds Group of the International Finance Corporation (IFC), the private sector investment arm of the World Bank Group. There, she had the primary responsibility of leading IFC’s fund investing and portfolio supervision in Asia for over six years. Previously, Ms. Xu also worked at McKinsey & Co, Inc. (Washington D.C.) and HSBC (Hong Kong). Ms. Xu received an MBA from Harvard Business School and holds a Bachelors degree in International Relations from the Foreign Affairs College in Beijing, China. Ms. Xu is fluent in Mandarin Chinese and English.